Experience the influence and flavours that make Catalonia’s culinary traditions the most unique in the European gastro region. As if Barcelona didn’t already have it all: the great beaches, the friendly people and the beautiful artwork, the unique cuisine of Catalonia is the ultimate bonus for visitors. 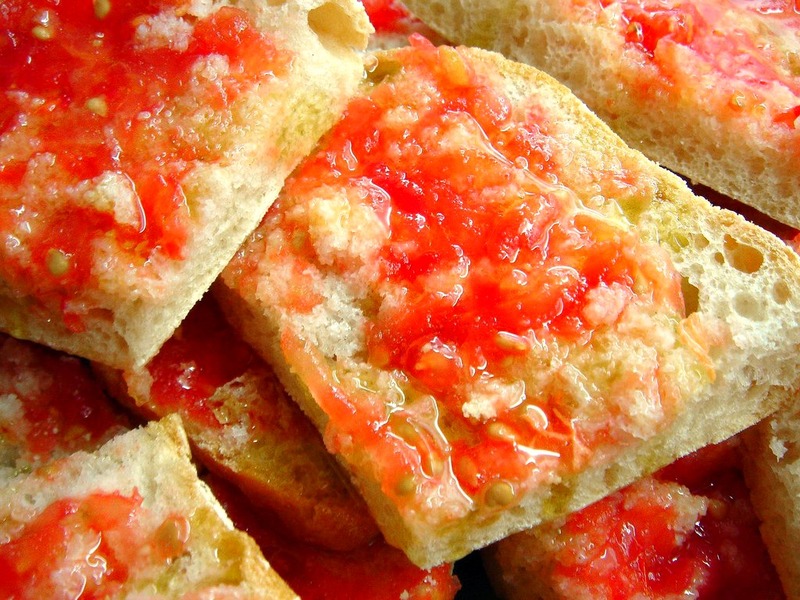 Over the centuries, Catalonia has incorporated many historical influences into their cuisine. This includes the impeccable combination of sweet and savoury from Arabic cuisine to the traditional influences from the Iberians, Phoenicians and Greeks. The contrast between all of these cultures makes for an ideal mix. Josep Pla, a famous Catalan writer, once stated “the cuisine of a land is its landscape inside a casserole,” and Catalonia offers a rich and original landscape indeed. Typical Catalonian meat dishes are known for being combined with fruits, such as chicken with prunes, or duck and pears. These combinations may come as a shock to you but they are deliciously filled with flavour. In certain areas, such as Girona, you will find exquisite poultry dishes served in a garlic, herb, tomato, onion and nut paste sauce. 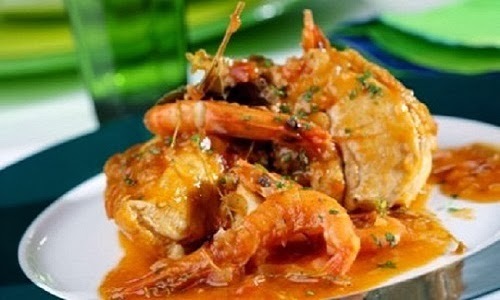 Aside from combining fruit and meat, Catalans typically combine meat and seafood as well. Mar y Montaña or ‘sea and mountain’ is a typical dish combining beef or chicken and fish in a variety of ways. Gastronomy varies in different regions which is why it is an important expression of local identity. 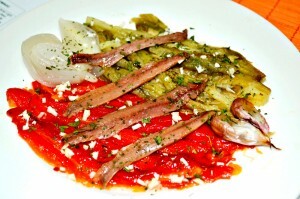 Specialty products in each region are unique, such as the anchovies of L’Escala, the “volcanic cuisine” of the Garrotxa region and the “honey cuisine” around Montsec. To enjoy the highest quality of dishes, stick to the specific products in each region in Catalonia. To get the full feel of authentic gastronomy in Catalonia, visit one of the many rural restaurants, originally large country houses called macias. These country houses once managed the center of agriculture and farming. 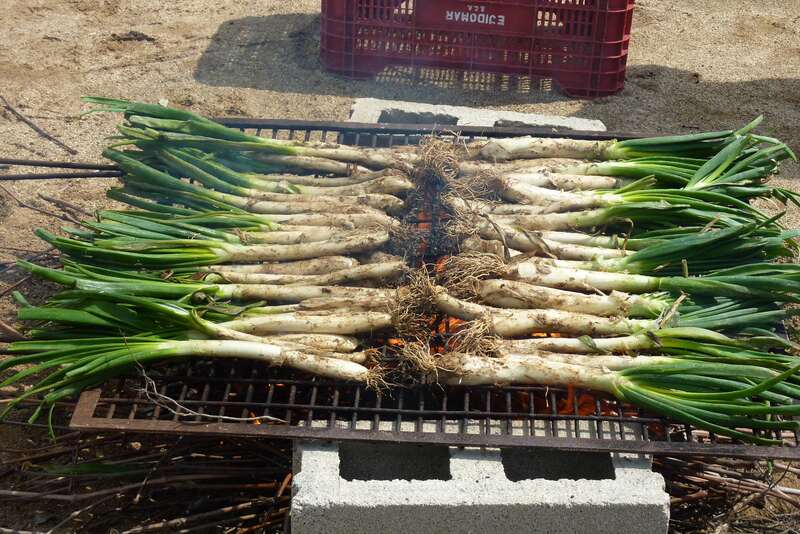 With each season, comes its signature dish and this month the specialty is calçots. 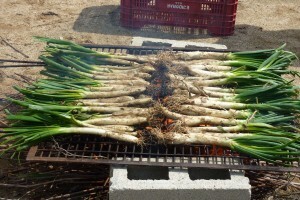 They are long spring onions cooked over an open flame and served with a delicious orange dipping sauce called romesco. We recommend you enjoy an authentic meal in a countryside macia outside Barcelona such as La Vinya Nova, www.restaurantvinyanova.com. The best thing about Catalan cuisine is the variety in types of dining. From Michelin-starred celebrity chefs, to local restaurants with secret recipes, the cuisine in Catalonia is certainly worth discovering! This entry was posted in Home, Restaurants & Food, Tourist Guide and tagged Barcelona food, barcelona food and drink, barcelona restaurants, catalan cuisine, catalan culture, catalan food, Catalan gastronomy, catalan traditions, eating out in barcelona, Eating out in Catalonia, Restaurants in Barcelona, Traditional Catalan food, visiting barcelona. Bookmark the permalink.